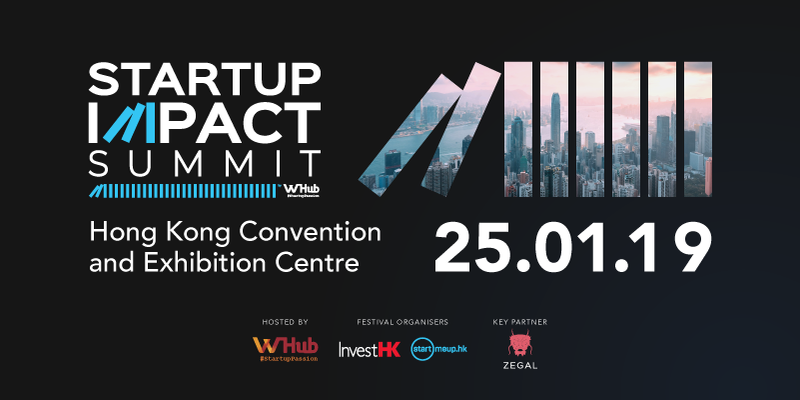 Startup Impact Summit is one of the core events of StartMeUpHK Festival 2019 taking place on 25th January at Hong Kong Convention and Exhibition Centre. Regular ticket students: 100 HKD till 19 January 2019. Exhibitors: 3 free tickets per startup + booth (more details: marketing@whub.io). Early bird - Investors: 500 HKD for the first 100 sign-ups till 20 October 2018. This includes access to the General Program + Investor Lounge + Investor Workshop. Regular ticket - Investors: 700 HKD till 19 January 2019.This includes access to the General Program + Investor Lounge + Investor Workshop. Delegation package, please ask marketing@whub.io for your dedicated package. Media pass, please contact marketing@whub.io. For Students: please provide the link to your student ID and make sure you sign up with your university email. For Exhibitors: please provide the link to your logo in high resolution and add your profile on WHub.